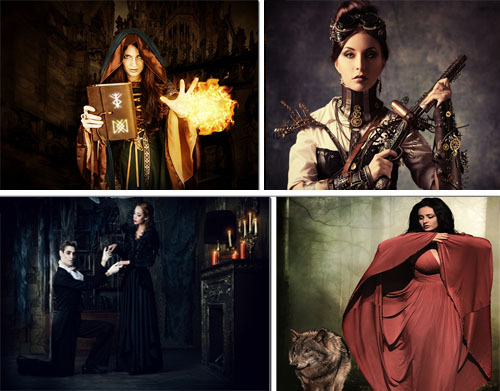 Invite your friends over for a night of mystery as Vampires, Sorcerers, Humans and Werewolves. The four factions will work together on a plan to save the Earth from deadly asteroids! The game is for 8-12 guests, ages 14+ for difficulty. Click here for sample game materials. An official Doomsday announcement was made by NASA scientists that an unexpected group of asteroids will strike Earth in only ten days, leading to mass devastation around the globe. Top astrophysicists have exhausted all efforts to prevent the collisions, and the outlook for the planet is quite grim. The Vampire, Sorcerer, and Werewolf Factions have formally announced their existence to the humans and have arranged a meeting to form an alliance and strategize against this cluster of cosmic boulders to save the world. They believe with their combined skills; they will be able to ban together and stop this catastrophe in the nick of time. That is, if this unprecedented gathering goes well. The Factions have agreed to meet at the former house of horrors of New Orleans, Louisiana—Dauphine Place, a legendary residence of the French Quarter. This will be the first time in history that supernatural beings have met with the humans. Will the alliance save the world, or start the apocalypse early? The expandable team players are duplicate players that may be played in 1 of the 4 teams as follows. If you order the duplicate team players to be prepared with your game, we will divide them up into the 4 factions to be played under the following team leaders. Plague Redwood – invite up to 42 additional Sorcerer players as the members of his rogue group of rebel Sorcerers. Kestrel Lynx – invite up to 42 additional Werewolf players as the members of the Greenland Werewolf Clan. Follow My Mystery Party's board Factions: A Murder Mystery Party Game on Pinterest. We were submersed in the story and my friends dressed up and played their roles spot on. Intriguing mystery, details were spot on, and all the extras helped to make this a memorable evening.